ZAO Bioamid was established on November 5, 1996, subsequent to the decision on abolishing the Saratov biocatalysis research institute due to full lack of central funding. Founders of the company were the developers of the biocatalytic process of acrylamide production. 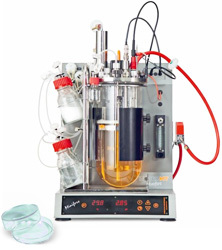 This technology proved to be highly demanded by a number of Russian and foreign chemical companies. In particular, the license on biocatalytic strains was sold to the South Korean company Tong San. In 1998, Bioamid sold the license on acrylamide production process to the German company Stockhausen, which was a participant of the Degussa Group. For three years, Stockhausen invested money for the development of a method for production of a biocatalyst, which would outperform the biocatalyst of the Japanese Nitto Chemical Corp. that was the discoverer of thе biocatalytic process. The proceeds were used for acquiring a building, equipment and financing the new researches. In particular, the company has developed the first in the world biocatalytic process of production of acrylic acid and sold the license to the American Ashland Eurasia. In 2006 the biotechnology process for producing acrylamide was sold to the Italian Europolimeri SpA. 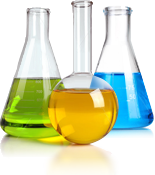 Main areas of company’s activity: chemical industry, medical science and pharmacology, agriculture, ecology. © All rights reserved 2012.